Let SnapStream do the clipping work for you! 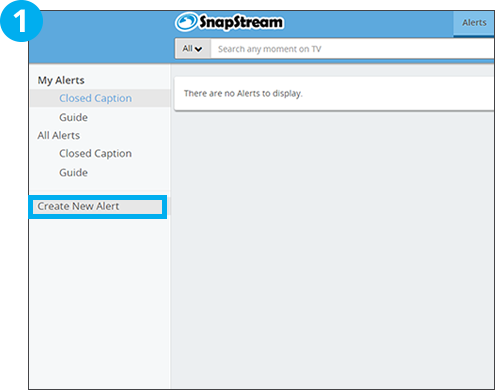 Based on keyword(s) you are tracking in TV Alerts, SnapStream automatically clips out relevant TV segments and emails them to you. These clips are stored in the cloud, so you don't need to be a SnapStream user to view them on-the-go. 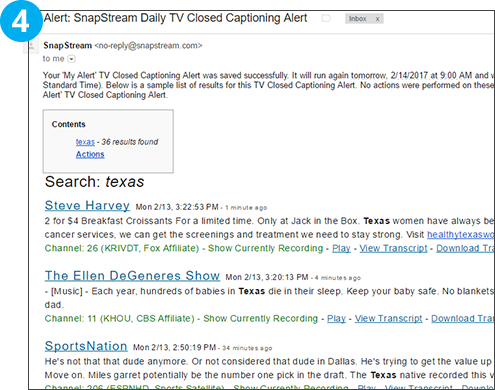 Auto-clip works by detecting topic changes and commercial breaks. 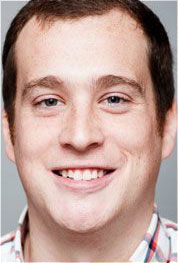 Clips are no greater than 15 minutes in length. Go to Alerts > Create New Alert. 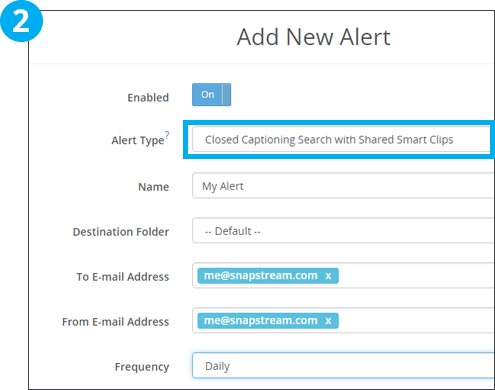 Choose the "Closed Captioning Search with Shared Smart Clips" alert type. 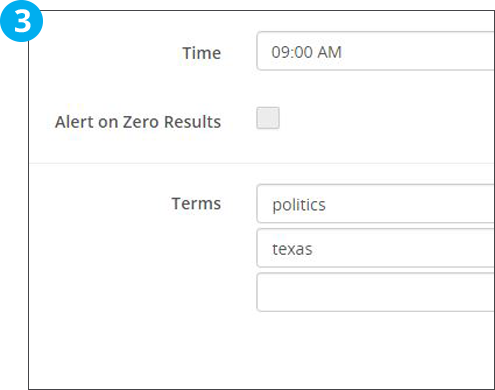 Enter an alert name, "To" and "From" email addresses and alert frequency. If "Daily Alert" is chosen, select a time to receive. Enter your search terms and then select "Save."